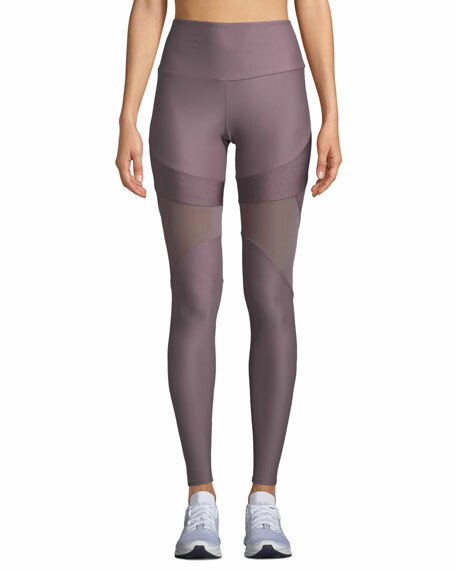 Spanx leggings with quilted moto-style panels. Built-in contoured power waistband offers tummy shaping and a perky rear view. Designed to hit at natural waist for great coverage and no muffin top. 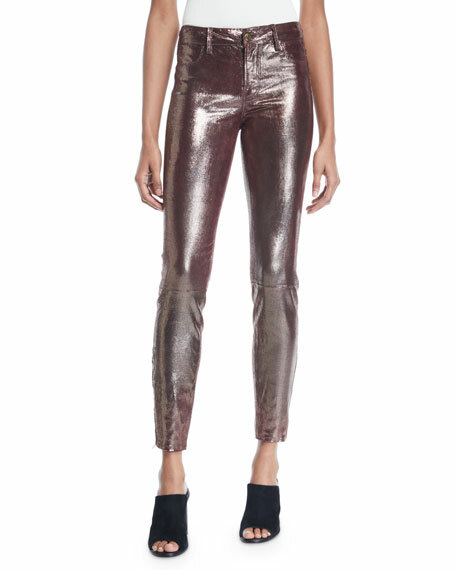 J Brand Jeans L8001 legging jeans in metallic lambskin leather. Approx. measurements: 8" rise, 29" inseam, 10" leg openings. Faux four-pocket style. Fitted through skinny legs. Button/zip fly; belt loops. Imported. The Row moto stretch leather leggings. Approx. measurements: 31" inseam, 40" outseam. Natural rise; banded waist. Skinny legs with seam detail. Pull on style. Lambskin bonded to cotton/spandex. Dry clean. Made in USA of imported material.